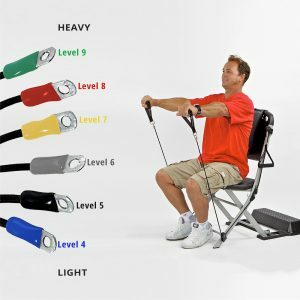 PLEASE NOTE: The Resistance Chair comes with the “Level 5” resistance cables attached to both upper and lower pulleys as standard equipment. 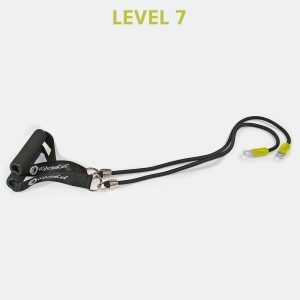 The patent-pending Resistance Anchor Cable™ system allows you to tailor the resistance level of the cables to your specific needs. Color-coded cable ends identify six different resistance levels, from Level 4 to Level 9. Each level represents an increase in resistance of approximately 2.5 pounds, or 1.1 kg., in comparison to the previous level. 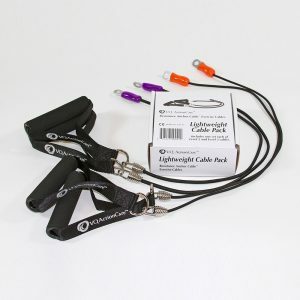 The Level 9 cables can also be used for isometric resistance exercises. 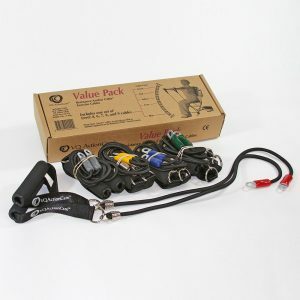 A “set” consists of two Anchor Cables included in box.